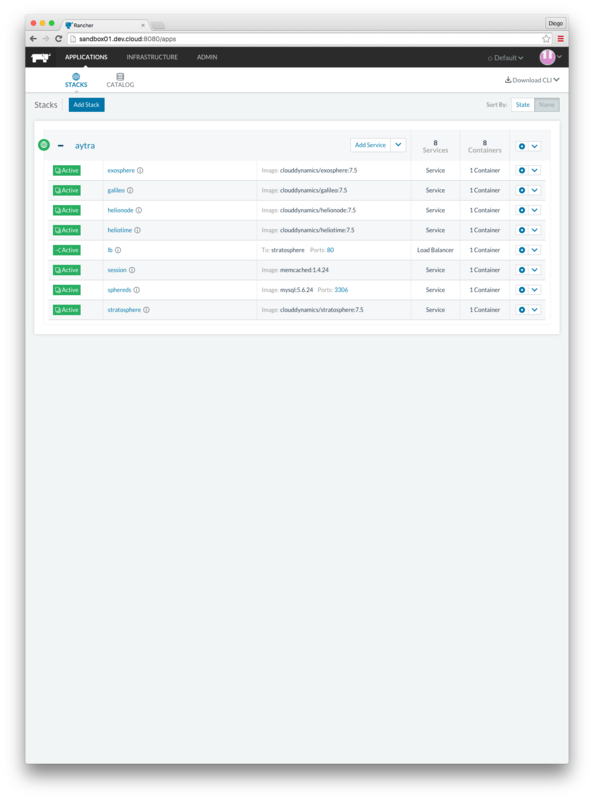 With the announcement of private catalog support in the Rancher platform we decided to create a custom catalog for our application stack. 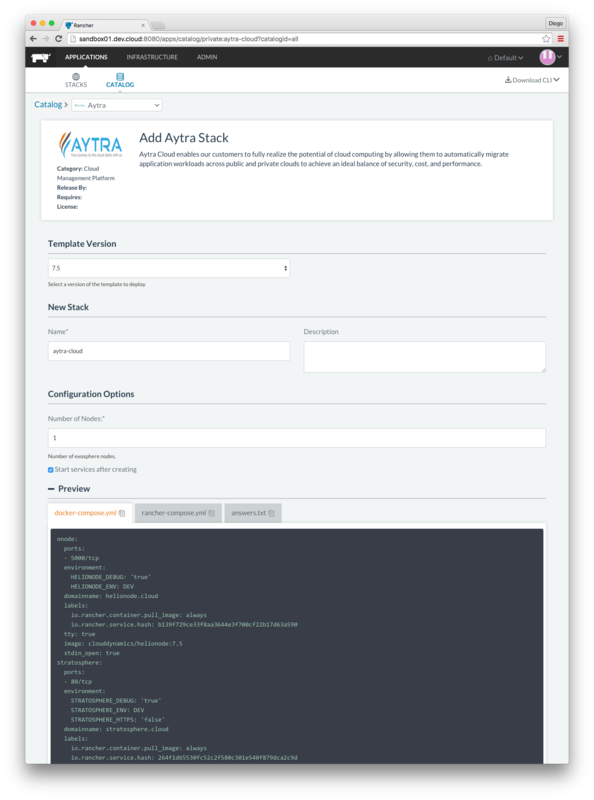 In the post I’ll guide you through the steps I took to create a catalog for our application, the Aytra Cloud. Aytra Cloud enables our customers to fully realize the potential of cloud computing by allowing them to automatically migrate application workloads across public and private clouds to achieve an ideal balance of security, cost, and performance. To define different versions of the same catalog Rancher uses the concept of numbered directories containing different versions of a docker-compose and rancher-compose templates. description: "Number of exosphere nodes." 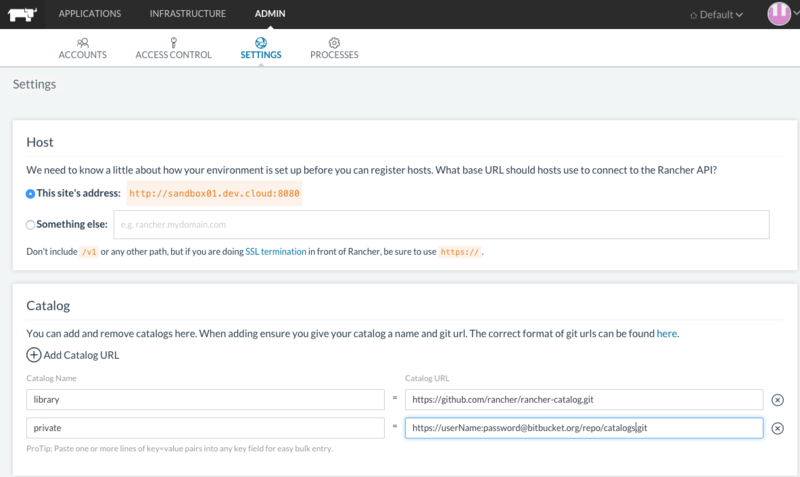 label: "Number of Exosphere Nodes:"
Now with all the catalog file structure defined you can add your private git repo to Rancher under the Admin -> Settings tab. Ideally you would be able to configure git users similar to how Jenkins git plugins do it but is not supported at the time.